After the whirlwind of emotion and shocking twist of Season One's climactic chapter, "Community" returns for its second year in a very delightful manner with "Anthropology 101." And in addition to paying off the unexpected cliffhanger seen at the end of "Pascal's Triangle Revisited", it also signals the start of a much more experimental year for Dan Harmon's neo-classic franchise. While what came before did indeed begin to play with the conventions of situational comedy, meta-humor and the bending of genre, Season Two is where it really starts to stretch its wings and dive full-on into delightfully deranged insanity. School is in session once again at Greendale Community College, but the study group is still reeling from Britta's (Gillian Jacobs) declaration of love for Jeff (Joel McHale), while Jeff is left troubled by his kiss with Annie. (Alison Brie) Unexpectedly though, things take a turn for the better for good-ole Britta as her fearlessness has made her something of an icon on-campus... something that Jeff soon enough takes advantage of as he forces Britta into a fake relationship to share in the popularity. (And take the heat off of himself from other students who now hate him for not responding to Britta's declaration.) However, their outlandish and over-the-top fake romance begins to take its toll on Annie, who is also confused by her feelings following her kiss with Jeff. 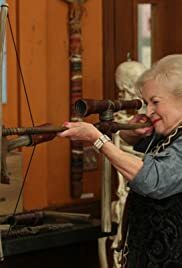 At the same time, the group deals with peculiar new Anthropology teacher Professor June Bauer (Betty White) and former-teacher Chang (Ken Jeong) becomes a full- time student. As a season-opener, this is one of the stronger examples in the series. While it might not quite match the high-standard of storytelling set by the pilot, it's a good re-introduction to the cast we've come to love so much, and there's plenty of twists, turns and laughs to keep us entertained. It also builds off of the first season's finale in a fairly appropriate and satisfying way, even if I do feel the third act is a tad anti-climactic. (Though I will refrain from spoiling it.) Much like the cliffhanger that lead into it, this is very much a story of Jeff, Britta and Annie. And McHale, Jacobs and Brie do not disappoint. All three are given constant and consistent moments to shine, and it supplies plenty of gut-busting gags and shockingly emotional turmoil for the characters and study group as a whole. I also found that on the whole, the episode marked the start of a generally much stronger cinematic feel for the series, both in terms of tone and aesthetics. Season One had glimpses of grander scale in key episodes, but Season Two shows just what the series was capable of. Everything just feels so much more lush... so much more lively. And this is further built upon throughout the season in many delightful ways. Really, the only thing I can say that I actively disliked about the episode is that it felt a bit too bogged down in key moments. Like they were trying to rush through and resolve the questions left over from the end of the last episode a bit too quickly. I think I would have rather seen the story organically play out over several episodes. But still, even that is a fairly minor complaint, because the episode itself works quite well. I mentioned in my last review that I view Season One as "Community" at its best. But thinking about it, I don't want to give the wrong idea. Season One might be objectively the best. But I will say that I also view Season Two in a similar high regard. Season Two, in my eyes, is the most "fun" of all Six Seasons. And it all gets started in near-spectacular fashion with "Anthropology 101." And thus, I give the episode a very good 8 out of 10.